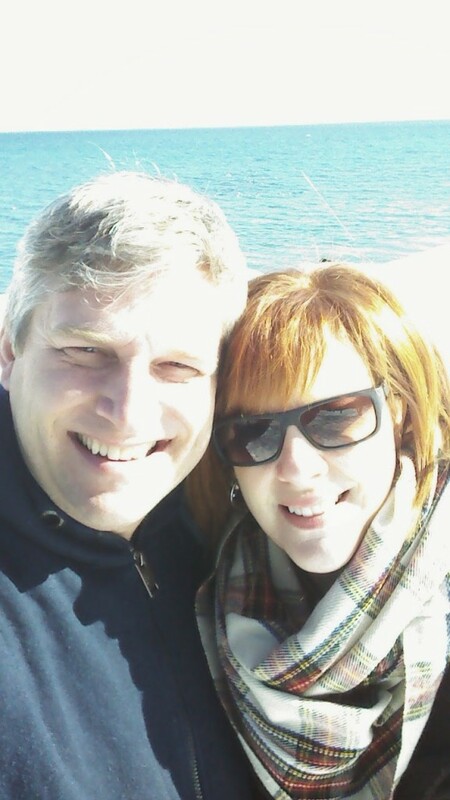 One of the greatest parts of Craig’s work is the opportunity to coach couples through pre-marital counselling. It’s that time of year again!! Spring is coming which means wedding season is upon us. We get the chance to sit down with young couples and talk about how to lay the foundations of a great marriage. It is one of my favorite ways to partner with Craig in his work. For us it is a regular opportunity to take a closer look at our own marriage and put energy into the areas that need some attention. Great marriages don’t just happen, they are nurtured. This nurturing will look different for every couple, but there will be similarities common to all. These are all achievable behaviors. It requires making your marriage a priority. That isn’t all that hard, is it? Especially once kids come along, right?! 😉 I know, I know! We lose our rhythm all the time!! That is why I love being involved with Craig in this area of his work. It is an automatic opportunity for us to check in on our relationship. So, with that in mind, here are some of the fundamental behaviors that build a great marriage. 1. A regular pulse check. For us, it comes with wedding season. The start of a new year might be a good time for this. You may not like making resolutions, but it may be a good time to evaluate your marriage and decide on some behaviors that will strengthen it. You may want to add in check points along the way, just to make sure you are on track. This entire concept is different than a date night. If this becomes the focus of your date nights it will kill the actual purpose of them. 2. Spiritual intimacy. I count myself so fortunate in this area. With Craig’s work, we are often talking about the word of God and how it is shaping us. We are both pursuing loving God with all that we are. Sharing what God is doing in us is an automatic invitation into one another’s inner world. It was something my parents modeled well. I am glad it is a characteristic of our marriage and that our children have witnessed and even participated in it. There can always be more conversation of this nature. 3. A common goal. It is great if this can be something that will have eternal significance. This keeps you moving in the same direction cooperatively. If it is something of eternal significance it can feed your souls and draw you towards spiritual intimacy. A common goal creates an atmosphere that keeps you working together to achieve a common purpose. It will help you grow closer rather than apart. 4. Know how your spouse receives love. 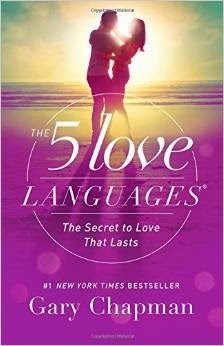 This was a concept introduced by Gary Chapman in a book called The 5 Love Languages. We naturally show love in the ways we receive it. That doesn’t work well if you receive love in ways that are different from how your loved one does. Craig needs hugs, kisses and cuddles from me. He is going to starve if all I do is speak words of affirmation to him. I need to make sure I am speaking his language not mine. This has to be a conscious daily choice because it is not natural. Take the test here. 5. Fight fair. Remember you are always on the same team. It is important to focus on behavior. Never attack character, this is so very damaging. It is also important to protect the commitment and security of marriage. Make a choice to never threaten to leave your partner, especially during a disagreement. Do not even allow yourself to entertain the idea of divorce. I have written a little more on conflict in marriage in a post titled “The Most Helpful Warning About Marriage My Mom Gave Me“. 6. Figure out how to manage your money together. This area takes down marriages more often than it should. This is one of our greatest weaknesses. It is an area that needs the most pulse checks. This was a predictable trouble area because we are both youngest kids. Working together on money makes sure we are on the same page, working towards common financial goals. This helps a spender reign in spending. It also helps a saver remember that some kinds of spending are important, for instance holidays are a great use of money even though they reduce the account balance. 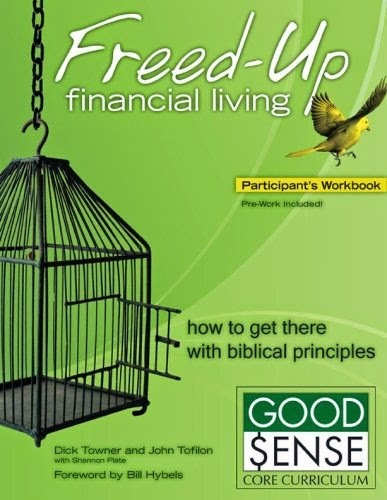 We always recommend that couples attend a Freed-Up Financial Living course. This is so important! I cannot emphasize it enough. 7. Sexual intimacy. It is important to talk freely and neutrally about this. For a couple to thrive in this area you have to develop an attitude of meeting one another’s needs instead of only fulfilling your own. Creating an atmosphere where there is freedom to talk about this area of your relationship is so important. Keep it lively, keep it fun, keep it safe. The marriage bed is a sacred space, protect it. 8. Connect and have fun together through common interests. It is crucial to share similar interests. For Craig and I, recreation is a practical way we do this. We love playing together. Sharing a love for God, the Bible and our church family are also areas of commonality for us. These interests continually build a shared world. They also create opportunities to connect and have fun together. Common interests help us make great memories and occasions to laugh together. Really, it comes down to bonding. 9. Regular date nights. This is another area where we find our stride and lose it. The kids get sick, life gets busy and all of a sudden we haven’t had a date night in forever. Right now our kids are at an age where they are up when we wake up and they go to bed when we go to bed. There is no time in the day when we are without them. I adore my children, love them to pieces! But, oh how I miss 7:30 bedtimes!!! If we are going to have a chance to talk about anything, Craig and I need to get out, just the two of us. If you can afford weekend get-a-ways, do it!!! Seriously!!! 10. If you choose to have kids, your partner always comes before your kids. The kids are going to grow up and leave you. This is good! They need to get on with their own lives. You have a covenant to be together until the end of your days with your marriage partner. Your partner comes first. This actually is best for your kids, they are safest in the stability of your marriage. Kids are more secure when they know their parents are undivided and cannot be manipulated. Dote on your spouse, but never do for a child what they can do on their own. These are some of the behaviors that we have noticed are common in couples who are building strong marriages. Building, meaning requiring a plan and ongoing effort. You don’t have to settle for mediocre. Remember why you fell in love in the first place and get back to that as your start point. From there, work together to achieve the intimacy and strength you desire for your relationship. Consider finding a mentor couple whose relationship you respect and ask them to guide you and offer insight. God has amazing things for you and the one you have chosen to be your soul-mate for life’s journey. Don’t settle for less than great.